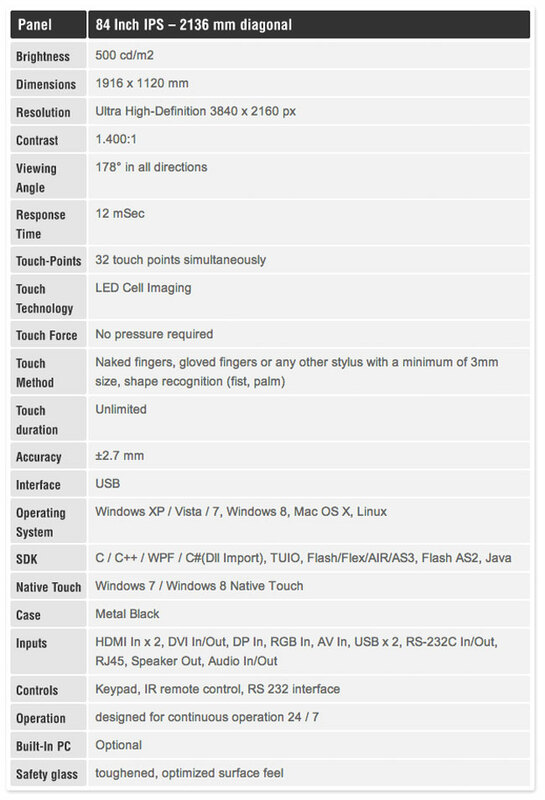 If you are looking for something a little larger than a tablet for your touchscreen needs. 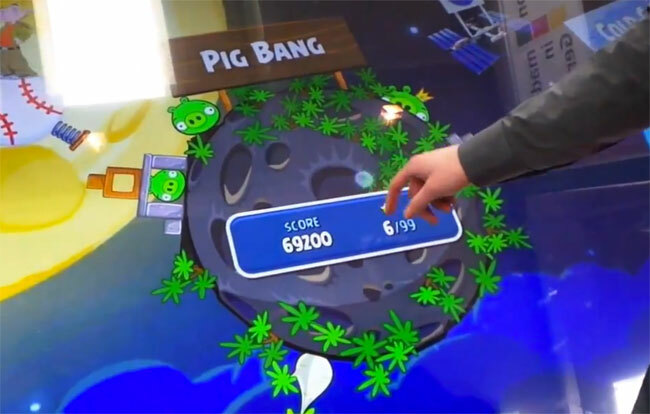 The MyMultitouch Alvaro GIANT is a $43,000 84-inch 4K touchscreen display which has been demonstrated this month at CeBit, which sports an ultra high definition 4k screen sporting a resolution of 3840 x 2160 pixels. The MyMultitouch Alvaro GIANT 4k display also features support for up to 32-points of contact simultaneously, and runs Microsoft’s latest Windows 8 operating system. Watch the demonstration after the jump to learn more about the massive Alvaro GIANT MyMultitouch 84-inch 4K touchscreen display and see it in action. The MyMultitouch Alvaro GIANT display features DMI, DVI, RGB, AV, and DisplayPort inputs and can be connected to smaller mobile devices, but also offers a optional integrated PC option for standalone use if required. For more information on the new MyMultitouch Alvaro GIANT jump over to the MyMultitouch website for details.